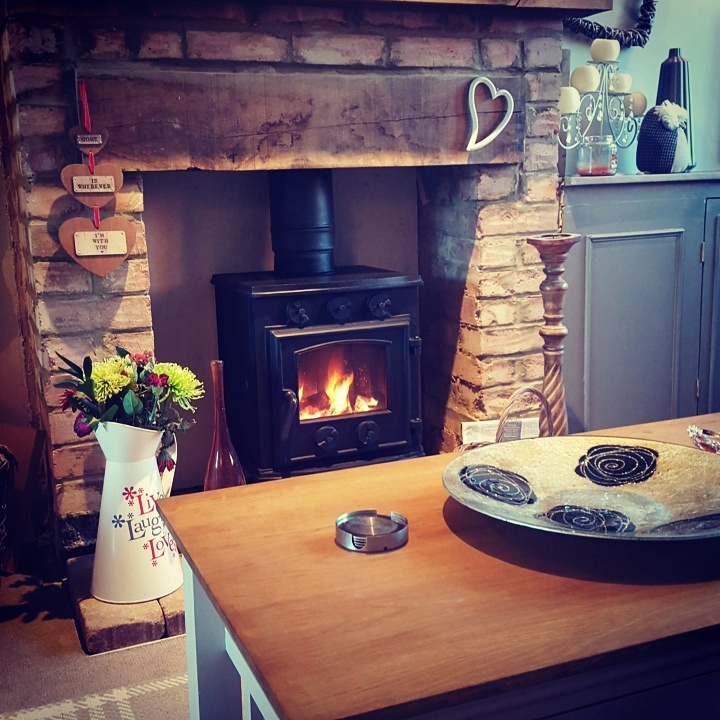 This COUNTRY KILN 35 FROM OUR COUNTRY KILN RANGE OF WOOD BURNING STOVES AND MULTI FUEL STOVES Cast Iron Multi-fuel Stove with Clean Burn, Super Airwash system, Clear Glass "Varicontrol". 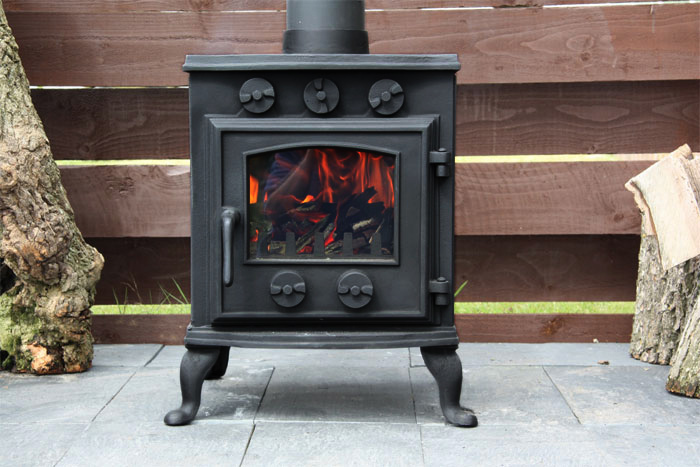 This Country Kiln 35 wood burning stove, and multi fuel stove, is individually hand constructed from quality cast iron. Comes complete with multi fuel grate, ash pan, removeable door opening safety handle, and flue connector. IN STOCK TODAY. ORDER NOW, DON`T MISS OUT. TO PAY BY CREDIT/DEBIT CARD CALL 01560 483966 9.00am to 5pm GMT or pay instantly with your debit or credit card through Sagepay, or via PayPal. 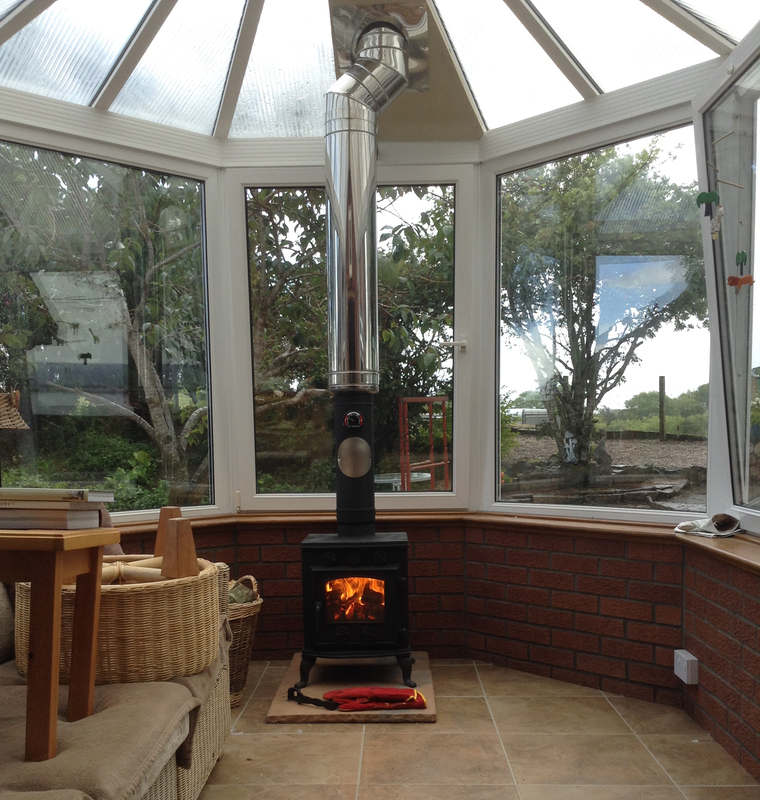 The Country Kiln 35 Stove is finished in a black high temperature coating. 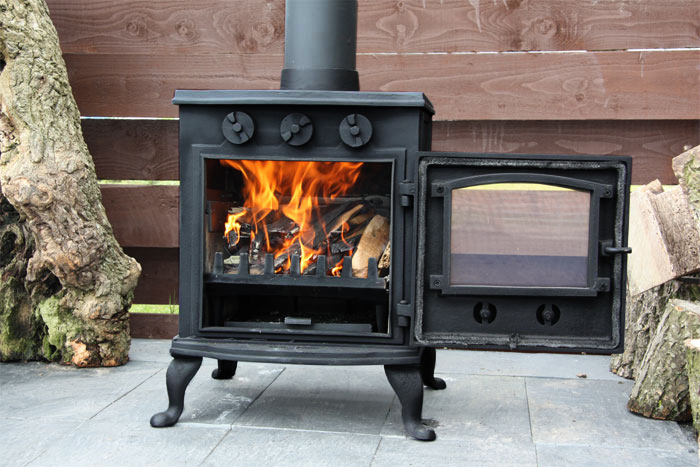 The glass is special pyro-ceramic which is totally impervious of high temperature, kept clean by both Super Airwash and Clear Glass Varicontrol which enables side control and balance of the fire. Airwash and Clear Glass Varicontrol combine to promote a cleaner burn which is more environmentally friendly.